A great time to start a Franchise! If you're considering starting a franchise or business, now is the prime time to do it. And why choose a different location other than one of the best foodie cities in the country. Yes, we are talking about Chicago. Now is the time to make your dream a reality. There is now better access to capital and special tax incentives, which could be an opportune time to start or grow a franchise or business. Speaking of taxes, have you done yours yet? The countdown is on to get those submitted and when starting a franchise, there are TONS of favorable options! 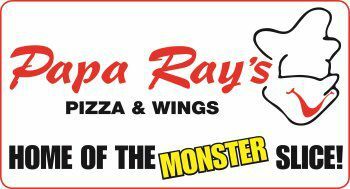 Interest rates are low and you can always utilize your retirement savings to grow with a Papa Ray’s Pizza and Wings franchise. This is tax-deferred and penalty free! So take advantage of the opportunities and grow with us! You can find additional information HERE.